This is the 4th book in the Coming Collapse Series! 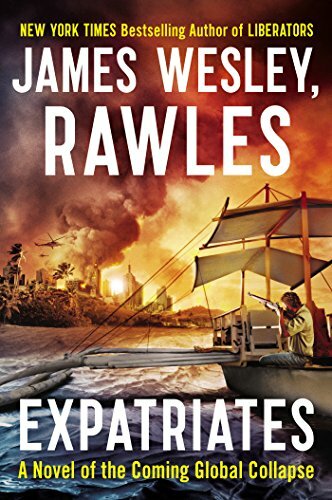 Expatriates is set during a future global collapse. It features characters in different parts of the world coping with life stripped of modern conveniences and technology. People must rely on each other, and trust is as big a commodity as gold or silver. The novel follows Patriots (2009), Survivors (2011), and Founders (2012), all of which follow concurrently what Rawles calls “the coming collapse,” making it possible for readers to jump into the beginning of the end at any point. For dystopia and action fans.